I used 100mm Macro lens to photograph my clients eyelash extensions and her lovely eye color. I love getting a chance to work with a Macro lens because is can photograph the smallest details.. The job of a this lens is for close up work. The purpose of this photo had two purposes. The primary purpose was to get a close up shot of the eyelash extensions. 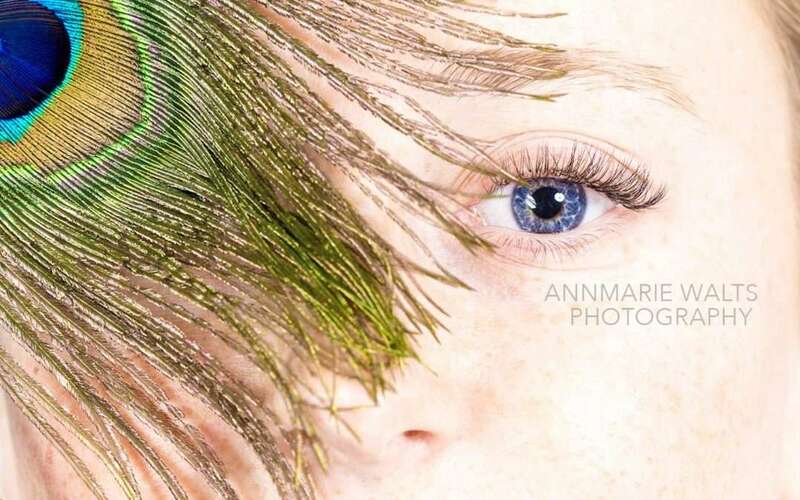 The second was to create a fun photo to bring attention to my client’s eye and color. My profession is pretty eclectic. My background is very much influenced by beauty because when I am not shooting here, at the studio; then you will find me (by appointment only) at my other location, which is The Loft Salon Studio.